The congregation gathered in the Cathedral of Sarajevo applauded the Pope's decision. Where were you when the Pope announced your name for the cardinalate? It happened on the 1st November 1994. 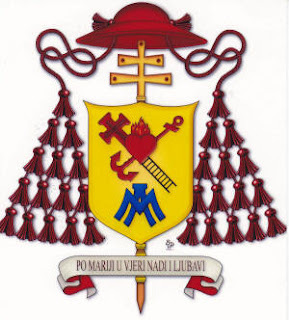 One of his nuncios came to Sarajevo to hand me his apostolic letter that stated that I was going to be created a cardinal. He celebrated mass in a packed cathedral. Tactfully, he extended the Mass until noon when the pope would announce the names of the prelates who would be created cardinals. As His Holiness mentioned my name, the congregation gathered at the cathedral began to applaud and approve. I was only forty nine years old and for the nine years to come I was the youngest member of the College of Cardinals. 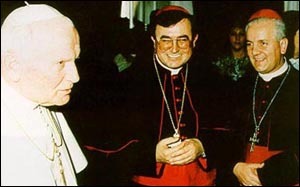 This ordinary consistory was effected on the 26th November 1994. Back home, I had to return to Sarajevo like a thief in the dead of night. The Pope was very close to me. Later on, he visited Sarajevo between the 12th and the 13th April 1997. I remember the great speeches he delivered to our nation. Eminence, with what spirit should a cardinal of the Roman Catholic Apostolic Church enter a conclave? Personally my participation in the last conclave was a great experience for me. There, I felt the inner depth of Church spirituality. The Church of the believer, of those who have hopes in what God wants from them. For me the conclave was the greatest spiritual exercise I have ever attended. I was very emotional in that historical procession, as we were reaching the Sistine Chapel at the time we were singing the hymns of the " Veni Creator" and litany of the Saints. Also I felt excited at the time when I was taking the oath of secrecy , even at the time I was praying alone in my private room. I returned to Sarajevo enriched with this great spiritual experience. I cried with happiness. Your Eminence, how did you discover your priestly vocation? I was already an altar boy at elementary school. I was still somewhat of a youngster when I felt that my country lacked freedom. So, at the time, I could only speak with priests discretely in the sacristy. I remember quite well one of these priests who was persecuted and sentenced to serve time. When he returned to us in that the communist era he talked to us of his experience in prison and about the many other painful experiences that had flowed through there. He would talk to us in a very calm way and without the slightest anger or sense of revenge. I admired him very much. He had a very beautiful spirit. I said: "I want to live like this priest." After finishing my elementary studies, the same priest once asked me this question: "Vinko do you want to become a priest?" It was here that I requested the permission and the blessings of my father to start attending the minor seminary. This decision was not easy because at the time the communist authorities would not be happy when they saw a family member entering any catholic seminary. Indeed as I joined the seminary my father lost his work and all my family ended without any security. I was so saddened for the suffering of my family and I spoke with a priest who promised me his help since in order to attend the seminary one has to buy many things, such as clothing and books. I remember my father saying to me: " Vinko, we are all left in the hands of God without the slightest problem." After finishing my studies I was ordained priest in 1970. This decision made me very happy! 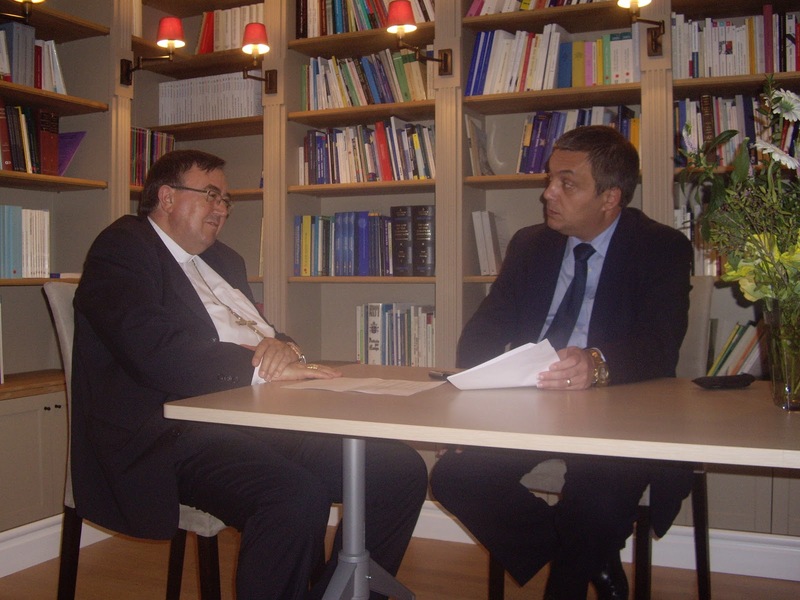 What are the aims of the Catholic Church in the Archdiocese of Sarajevo? We wish to remain in this country living in an organized Church. During the conflict thousands of believers left as refugees and after the end of the war they never returned to the country. Before the war the archdiocese that I used to serve in was of about five hundred and twenty eight thousand Catholics. Today, the same archdiocese adds up to just two hundred thousand people. More than half of the Catholics remained outside the country as refugees. This is because they do not see any viable prospect of return. I am very concerned about this aspect and about renewing and organizing from the Archdiocese I lead from scratch. I have started to nominate all parish priests anew. Even if in the absence of a church (building), even if there were no housing, the parish priests started to return once again, from scratch! 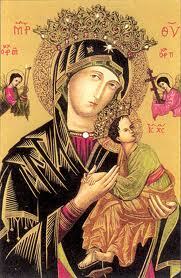 We need to re-organise this archdiocese from this tiny community, from these small parishes. I have embarked on an education programme for young people even to educate themselves in Catholic schools. These Catholic schools are covering all the ethnic groups. There are five different centres in different cities. One finds, primary schools, secondary and others. We have a youth centre that we named after Pope John Paul II where there is even the service of a priest to lead this centre not only for Sarajevo but also to drive different youth assistance projects. We organize minor and major seminaries because without the assistance of priests, the Church will have no future. It is of utmost importance to educate young people to the priesthood. We are also organizing some programs with the help of social projects through Caritas even for the elderly to return to their homes. The Caritas is helping mostly in their reintegration. There are also projects for lay people who assist the local church. I have also worked a lot on the Pastoral and the Presbyterial Council. However the most important issue now is to give a signal to Europe to ensure an equal dialogue where we are respected as equals. I am very concerned because there is currently no sense of equality both at the political and the economic level. We would support a process for the creation of a normal state where we will be equally respected. Do you have any personal recollections on the Blessed Pope John Paul II? My first souvenir of John Paul II is of the time I was nominated for the archbishopric. I was apprehensive and did not want to accept. 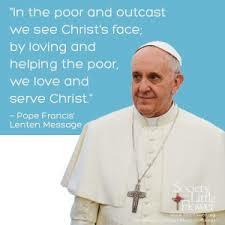 The Holy Father insisted and said that it was important that I accept. He told me: "I want to give this Church a head" In the end I accepted. Thank God…..I had great dreams, especially that of organizing the local Church, but this dream ended soon enough, after just one year because a tragic four year war broke out. 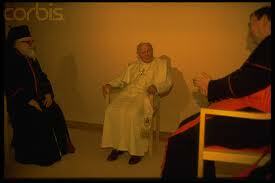 During the war, Holy Father John Paul II was a great father, very close to our sufferings which he followed assiduously. He invited me to Rome many times to speak of our situation. After the speech we met at the senior seminary for a modest dinner during which I received a telephone call from the Holy Father. But how can it be? I asked myself. The telephone lines don't work. They're all blocked. The Holy Father had called on a support line. I couldn't answer. I froze. I just said: "Holy Father thank you for everything". Then I couldn't speak another word. Most of the population of Sarajevo is of Islamic faith. How do you connect with the Muslims? What are your long-term fears and hopes for your country? The treaty of Dayton was saddening. It was not feasible. It failed. This fact is problematic, because when the Croats were left with no rights, it brought about a great reduction of faithful Catholics in the country. I was afraid that I would lose many of my faithful. I, as a Catholic bishop, always supported and shed on my priests, religious and even on my faithful that ray of hope, of courage, to live in a country with prospects for a better future and with a firm commitment. Between 1997 and 1999 His Eminence published two books. The first one was “Per amore dell’uomo. Testimone di pace a Sarajevo” with the second one being “Non cancellate il uomo. Un grido di speranza da Sarajevo”. Eminence can you give me some reflections on these publications? I prepared these two publications, in document form, during the military conflict. I always wished to pass them to the public. I have dedicated this work to peace in the World. 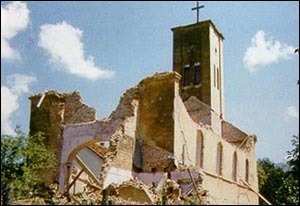 As a witness, I published other works to show what my country had to endure during the war; what the Catholic Church had done during this regional conflict. I spoke mostly on her behalf to show the principles that we believe in, both during the war and even after. I spoke on behalf of peace, defending human rights especially for those marginalized to give them some hope for the future. Now that some time has passed since the war, how can Sarajevo be the future and not the past of Europe? Sarajevo must be realized as a City in its reality, in which there lives a population formed of three different ethnic branches. 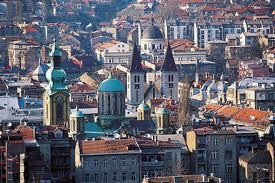 It is so unfortunate that in recent times Sarajevo is developing as an exclusively muslim city. I am sad because sometimes the Muslims do not see the effect of their words. They say that they are tolerant but it is not the case. Other things must also be realised. Whoever prevents Bosnia Herzegovina from living its own multi-cultural reality is making a very big mistake. What do you remember of the aerial bombardments suffered by your city? It was an ugly time, an ugly war, especially when Sarajevo was besieged. About six hundred cannons were firing on Sarajevo. Not every day but some time each day especially during the nights. Every second a bomb fell. For me it was a terrible thing especially psychologically. During the war I used to organise youth gatherings to pray together in my chapel. The prayer used to strengthen us spiritually and give us the strength to continue hoping for better times. This was very important for us. 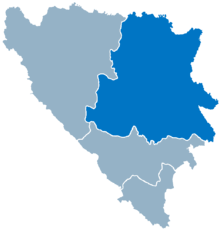 What is the position of the Catholic Church in Bosnia Herzegovina about the possibility of the entry of the country into the European Union? I came to Brussels to pass a message. 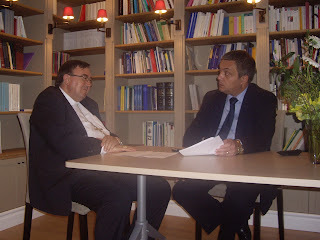 We have asked Europe to assist Bosnia Herzegovina in creating a normal state. We have also asked Europe to help us in job creation and also to implement the democratic principles for the creation of a normal state in our country. Geographically we are Europeans. I am expecting a firm commitment from Europe at the political and economic level. Europe is a beacon of hope for us. How can a Catholic and a Muslim live together in Sarajevo? I think that where there is equality it can never be a problem to work together. People from both sides are accustomed to congratulating each other when celebrating important religious events. Most of the Muslims congratulate us for our Christmas and Easter festivities. We reciprocate for theirs. This is important but also depends on the mass media because the mass media sometimes provokes situations that are regarded as negative. It also depends on the political situation but all the people wish to live peacefully.